I was going to feature 4 products in honor of the holiday but the entire FEED collection is so good that I couldn't narrow my choices down! "Founded by Lauren Bush Lauren in 2007, FEED's mission is to create good products that help FEED the world. Your purchase of this FEED USA + Target product will provide meals for children and families across America. The number on each FEED USA + Target® product represents how many meals your purchase helps provide to Americans in need." Isn't that great?! Every $1 you spend = 8 meals secured by Feeding America on behalf of local food banks. You get cute stuff and families get much needed meals! It's a win-win! I've already purchased the burlap bag and the striped blanket (which is SO soft by the way!) along with a set of 3 notebooks (I couldn't find them online). 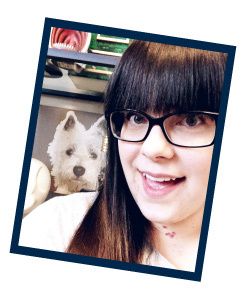 I still want to get the wire storage bins along with those white canisters and a few other things! 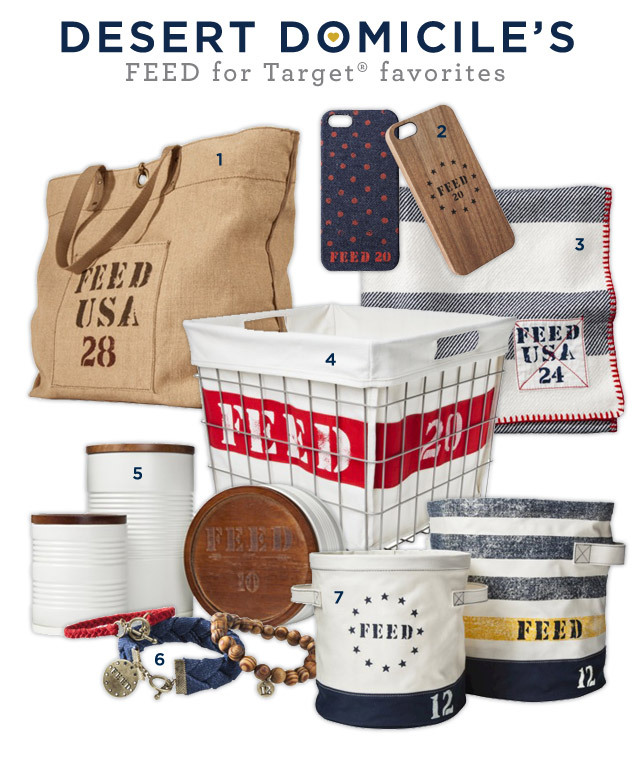 Have you checked out the FEED for Target® line yet? What's your favorite item(s)? I love that line! It's a great concept too! Happy 4th! Thanks! I just saw the FEED stuff for the first time today and love it!